At Misaki in Kitanakagusuku, arsa or hitoegusa (Monostroma nitidum Wittrock) seaweed is extending its beautiful green carpet to the beach where seaweed farms are located. In February, it will be the full harvest season for the seaweed, now not far away from being available to eat with fresh seafood. 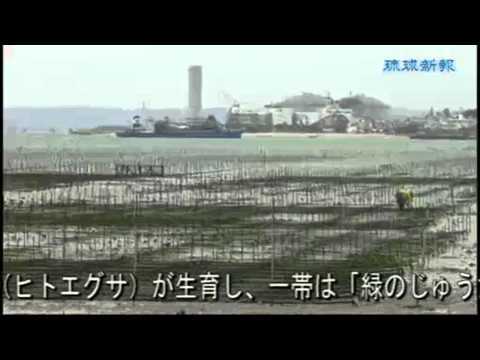 The Okinawa Prefectural Government has certified Kitanakagusuku Village as a site for the seaweed production. 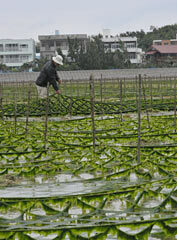 On January 27, many people worked hard doing tasks such as adjusting the nets to get ready for harvesting.